Day 39 – January 30, 2014 – Dinner! This is what’s for dinner. This picture was taken this summer. I’ve decided that there are going to be days during this 365 that I just can’t get a photo. I’ll try to minimize that, but today was one of those days. 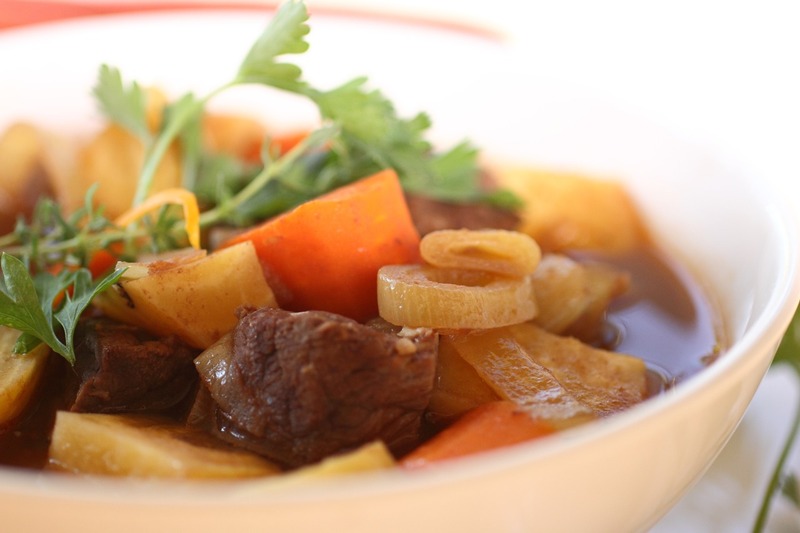 Still, I am enjoying my slow cooker creation! This weekend’s posts will probably happen at irregular times, but I promise some adorable niece and nephew shots! 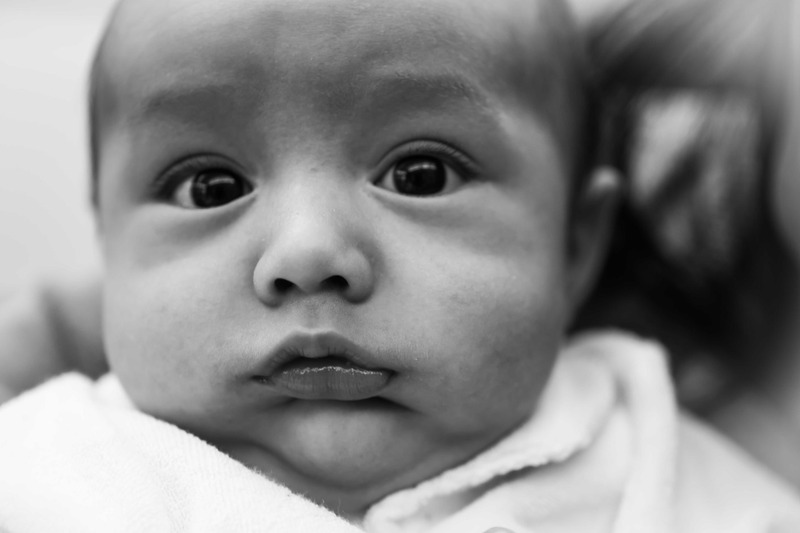 Day 38 – January 29, 2014 – Baby Jaren. One of my students has a sweet new brother who visits the classroom on Wednesdays. 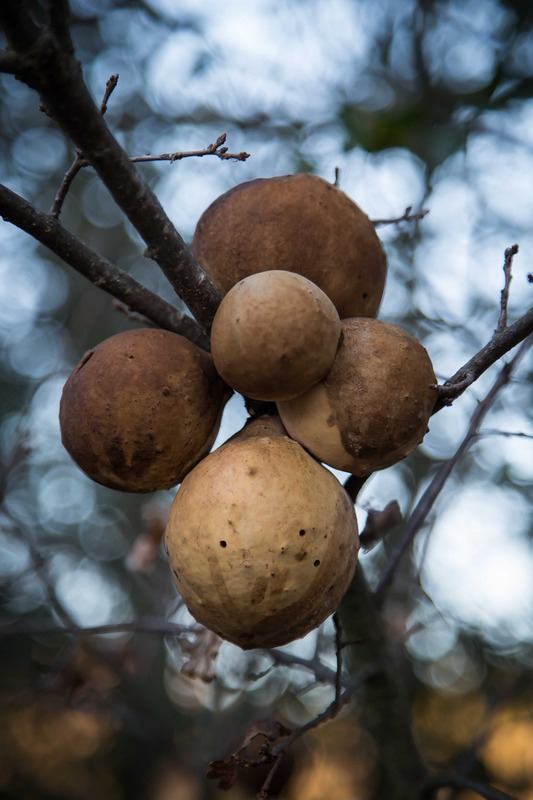 I took a bunch of good shots, but struggled with focus…. He’s precious! We’ll try another day for sure! Day 37 – January 28, 2014 – Mary Jo’s Flowers. Another awesome macro day. Saw these sitting on Mary Jo’s desk at work, and had to steal them for a shoot! Enjoy! 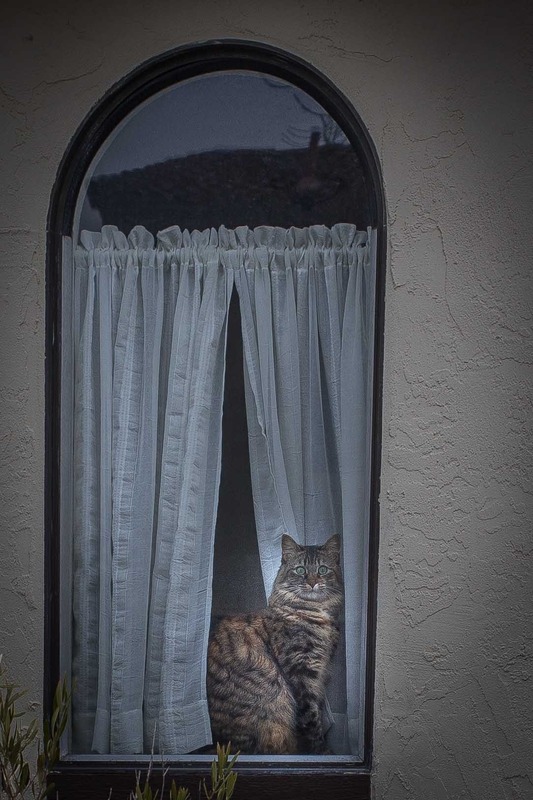 Day 36 – January 27, 2014 – Cat in Window. 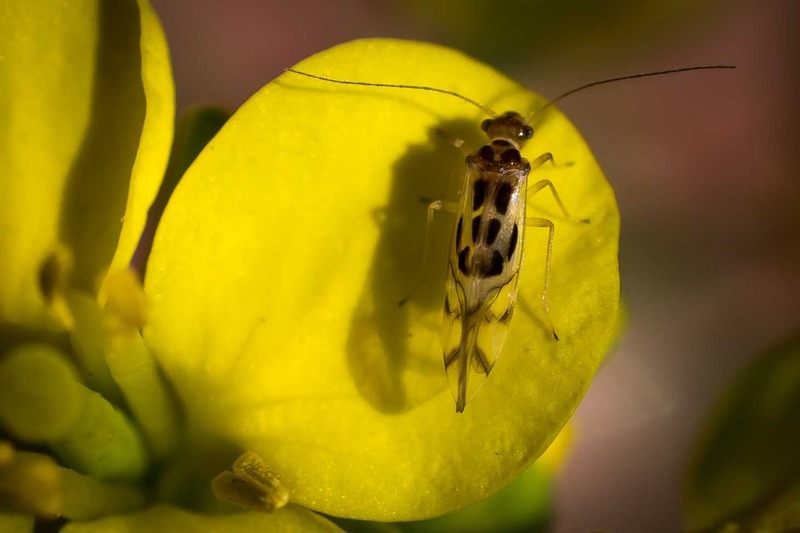 Day 35 – January 26, 2014 – Bug on Broccoli Flower. In our garden, the broccoli (that I forgot I planted) went to seed. This flower is from one of the tiny round parts of broccoli, and the flower is smaller than a dime. This bug is teeny, but again, I am playing with my macro lens! Love the antennae. 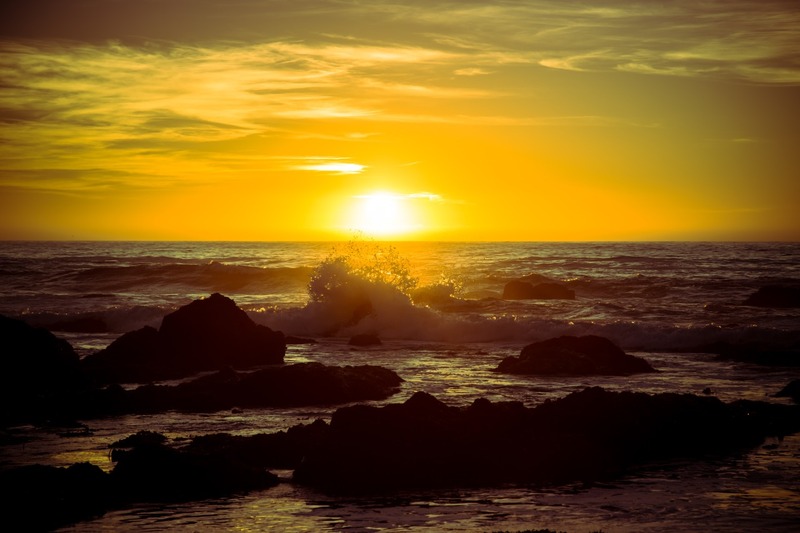 Day 34 – January 25, 2014 – Bodgea Head Wave. Ok, I cheated a tiny bit. I took a good photo today, it was a head shot for a colleague, and we both like it, but since this is blog is more about art, here’s a favorite from the first shoot I did with the new camera. I LOVE the light coming through the wave’s spray, the clouds, and I am a sucker for a good sunset. Wish I had been in Bodega Bay again today! 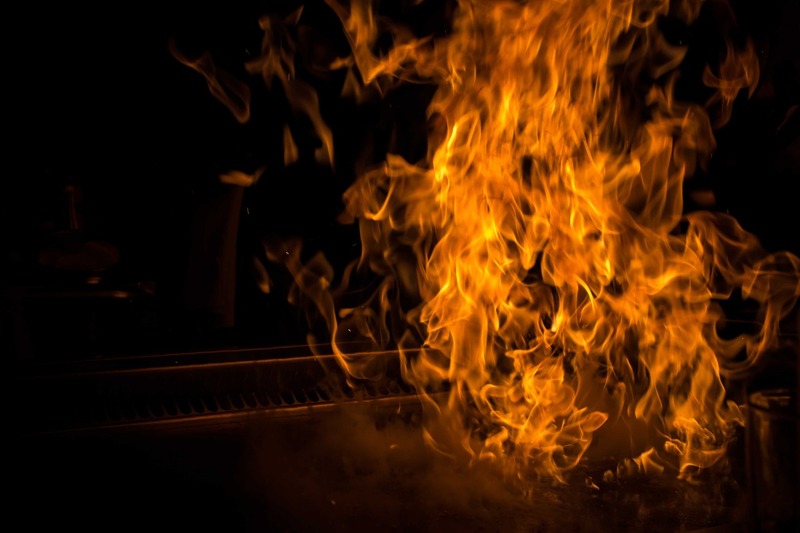 Day 33 – January 24, 2014 – Hibachi Dinner Drama. Fire is beautiful when one can capture it! 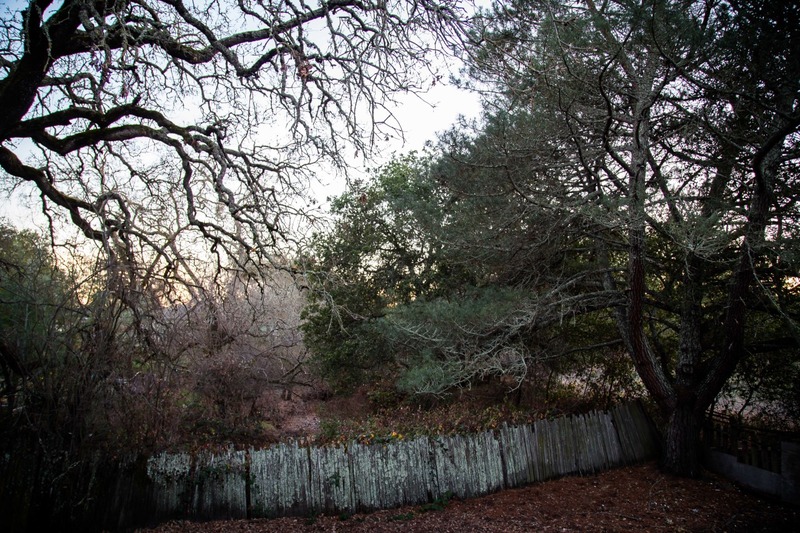 Day 32 – January 23, 2014 – Oak tree something?? Walking around the block, looking for something to shoot, this caught my eye at the last minute. Funny how that happens. I love the background bokeh and how it makes the cluster pop. 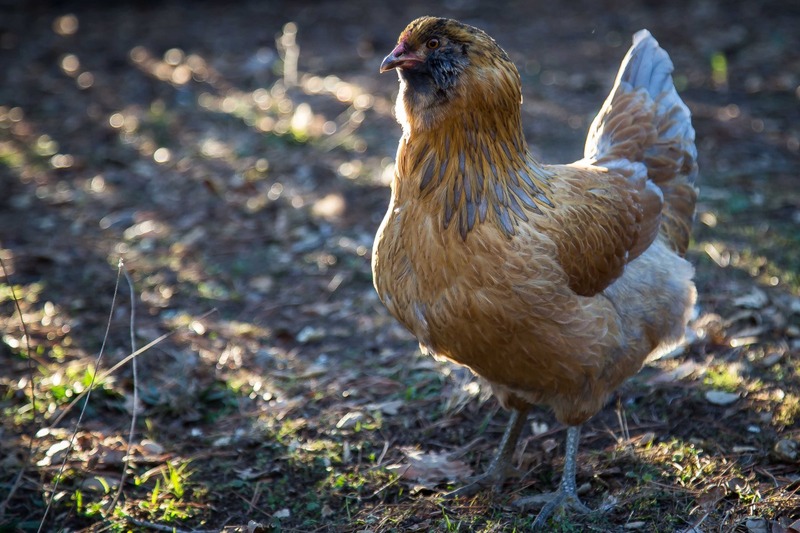 Day 31 – January 22, 2014 – Martha Chicken. We got one Americauna so that we could have occasional green eggs. Isn’t she cute? She has this funny gray beard that made me want to change her name from Martha (Washington) to Fidel (Castro)! Silly. Today I took the camera, and a handful of food into the light of the fence and the golden hour…. Not bad for a chicken photo! Day 30 – January 21, 2014 – Winter. This is part one of a four part series. Seasons. From my future kitchen window. View of the creek in a drought. Still, love the moss covered fence, the berry patch (think cobbler), and the serenity. Enjoy.